Shane's book will get this page. He spent a few days at the ranch with us one summer and loved going fishing with Grandad. 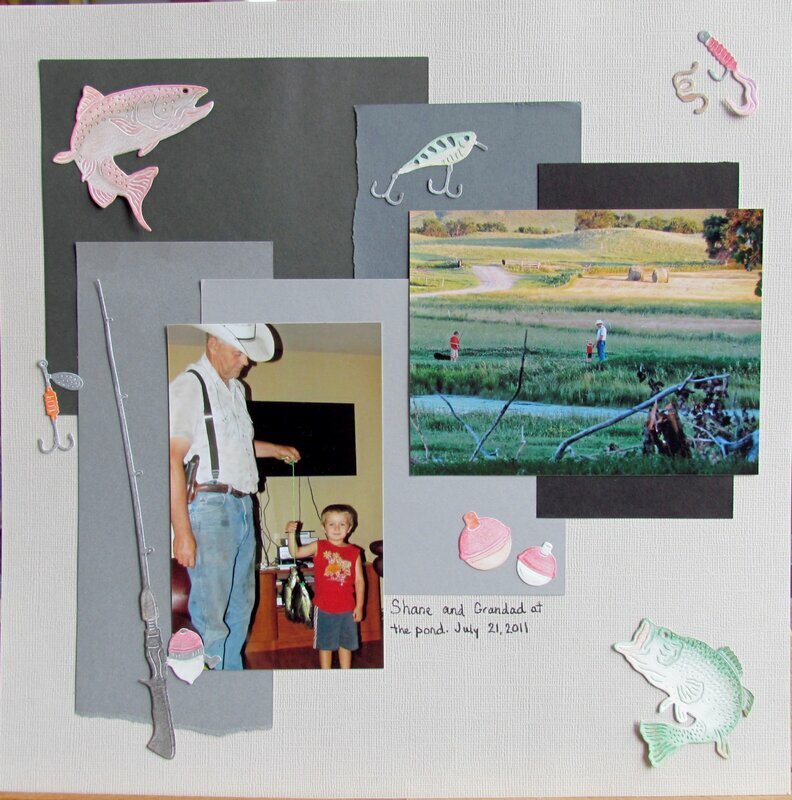 The fish and equipment are a die cut set that has been colored with colored pencil. I love seeing the ranch and your pond! Cute fish die cuts. Good job on coloring the fish die cut items. Love the dies and the coloring...they are outstanding along with the photos of course...and again I am loving your backgrounds. So interesting....!! !